What links investment companies with The Beatles? Do you remember the Beatles releasing Sgt Pepper’s Lonely Hearts Club Band? That takes you back to 1967 and since then three investment companies have raised their dividends every year consecutively for fifty years – City of London, Bankers and Alliance Trust. Turn to the next page to find out more about these and the other seventeen dividend hero investment companies which have increased their dividends for at least twenty years or longer. Time is ticking as the end of the tax year approaches. ISAs are nearly 18 years old so in our article on page five, we’ve examined the best performing investment company ISAs over 18 years. It’s interesting to see that the top performing investment company sector over the last 18 years is Sector Specialist: Biotechnology & Healthcare, up a whopping 1,313%. Continuing with the end of the tax year theme, we’ve also looked at Venture Capital Trusts (VCTs) which provide finance and support to small and high risk companies. The Government offers generous tax breaks to compensate investors for the risks involved. 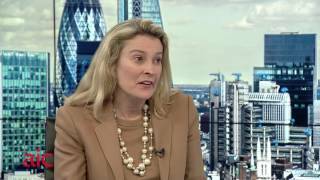 To find out more about VCTs, what they invest in and the benefits to the economy please watch the video below where I talk to VCT managers Patrick Reeve, Managing Partner of Albion Ventures and David Hall, Managing Director of YFM Equity Partners. Patrick Reeve, Managing Partner of Albion Ventures has also written an interesting article on the social value of VCTs. And finally, we reveal the top twenty VCTs and the dividends they have paid over the last ten years. The Association of Investment Companies (AIC) has released the latest list of dividend heroes – those investment companies that have increased their dividends each year for 20 years or more. To celebrate the achievement of these dividend hero investment companies the AIC has created a new logo. Three investment companies have reached the impressive milestone of 50 years of consecutive dividend increases. They are City of London Investment Trust, Bankers Investment Trust and Alliance Trust. Job Curtis, manager, City of London Investment Trust said: “City of London’s record of growing its dividend every year for 50 years has been achieved both by investing in good companies and also through the investment trust structure. In the good years for dividends, we add to our revenue reserves which we are then able to use in more difficult periods. Indeed, in 7 of the 25 years during my period as fund manager, we have dipped into revenue reserves to help grow the dividend. "Global growth in dividends is expected to be in the 3-5% range, but for investors in the UK this may be higher if the pound continues to fall against overseas currencies." Alex Crooke, manager, Bankers Investment Trust said: “Bankers has just passed the anniversary of the 50th consecutive year of increasing its annual dividend. The trust last held the dividend flat in the year 1966, following a bumper year of dividends received in 1965 when companies tried to avoid the introduction of capital gains tax for the first time. The record of growth before then goes back all the way to the Second World War. “The key is to invest in companies that themselves focus on cash generation and distributing dividends throughout economic cycles. The current outlook for income is more muted than previous years, partly because dividends, after lagging the recovery of corporate earnings post the 2008 crash, have now caught up. Many companies in the US and Europe are now paying out a relatively high percentage of their earnings as dividends and therefore fund managers need to carefully focus on those industries where earnings are rising. An additional seven investment companies have already announced dividend increases for their 2016 year-end. With Foreign & Colonial Investment Trust reaching 46 years of consecutive dividend increases, Brunner Investment Trust reaching 45 years, JPMorgan Claverhouse Investment Trust 44 years, Witan Investment Trust 42 years, Scottish American Investment Trust 37 years and both Scottish Investment Trust and Temple Bar announcing their 33rd year of consecutive dividend increase. For a full list of dividend heroes, please see the table below. 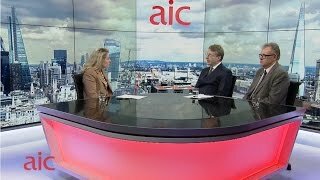 Annabel Brodie-Smith, Communications Director, AIC said: “It’s such an achievement to see three investment companies reach 50 years of consecutive dividend increases. In the current low interest rate environment, with inflation creeping up, the ability to ‘smooth’ dividends is a unique advantage of the investment company structure. Investment companies can store up to 15% of the income they receive each year and can use these reserves to boost dividends when times get tough in the future. In the empty aftermath of the First World War, the novelist John Buchan tried to find a sense of reason with the words, “the only way that we can hope to repay our debt to the Past, is by ensuring that the Future is in debt to us”. There’s something about this concept that seems particularly powerful for us in the West at the start of the twenty-first century, after seventy years of extraordinary prosperity, and at a time when the future seems particularly unclear. This applies as much in my “day job” as anywhere, because your job as a venture capitalist is to watch where the world is changing, and to gauge whether that change is going to result in growth, and above all in value. In recent years, it’s become clear to me that for value to be lasting rather than transitory, it needs to have a social resonance and to improve people’s lives in a permanent rather than temporary way. "Your job as a venture capitalist is to watch where the world is changing, and to gauge whether that change is going to result in growth, and above all in value"
This realisation has spread across the venture capital sector, and not least the £3.5 billion Venture Capital Trust (VCT) part of it. In fact, there is an increasing realisation amongst VCT managers that socially positive investment is good for investors, and a growing number of investee companies are at the forefront of developments in sectors such as the environment, healthcare and education. In all of these, the dynamics driving change have been huge, from the multiple pressures of climate change, the increased health demands of an aging population and the need, both technological and social, to better equip the young to a changing world. In the environmental sector, VCTs have played a major role in smaller-scale renewable energy infrastructure, contributing to the 25% of UK power that is now derived from renewable sources. Less well known, are contributions towards agriscience, enabling more food to be produced for growing populations in a fast-changing environment. VCT investments in this area include Cawood Scientific, backed by the Northern VCTs, which is the UK’s largest independent provider of analytical laboratory testing services for agricultural industries. It specialises in the analysis of animal feed, grain, soil, composts, anaerobic digestate and contaminated land, with the overall aim of driving land improvement and providing the product assurance that is vital for UK food quality. "There is an increasing realisation amongst VCT managers that socially positive investment is good for investors"
There are a number of areas where VCTs support the education sector, both in the provision of technology and in the actual ownership and management of schools. On the technology side, Firefly Learning, backed by the ProVen VCTs, provides software to 500 schools in 32 countries, enabling 400,000 pupils to improve their educational engagement. Meanwhile, the Radnor House group, backed by us at Albion Ventures, established a new London day school in Twickenham, catering for 11-18 year olds, which now has over 400 pupils. The group also owns and operates a 300 pupil school in Sevenoaks, Kent. VCTs’ involvement in healthcare can be seen in a number of areas, from healthcare IT through to diagnostics. Network Locum, for instance, backed by the ProVen VCTs, helps match locum doctors with available shifts in NHS hospitals and GP practices. Antidote, meanwhile, backed by Octopus Titan VCT, has developed the world’s largest machine readable clinical trial database, aimed at matching willing participants with local trials appropriate to their condition; saving lives by speeding up the clinical trial process. In women’s health, Create Health, backed by the Baronsmead VCTs, is a leading innovator in natural and mild IVF techniques and has recently opened two new clinics, in Central London and Birmingham, with two additional satellite clinics in Bristol and Hertfordshire. Dysis Medical, meanwhile, which is backed by us at the Albion VCTs, has developed a new system for screening cervical cancer; its products have now processed more than 80,000 examinations, enabling a significant number of tumours to be treated which would otherwise have been left undiagnosed. "In an ever more cramped (and sometimes sharp-elbowed) world, any activity that is not socially positive, can only be short term"
What was the best investment company sector? We’ve all had those moments when we’ve wished we could turn back time, and Cher famously sang a song about it. With ISAs now nearly 18 years old, the Association of Investment Companies (AIC) has published a list of the top performing investment company sectors over this period. The top performing investment company sector over the last 18 years is Sector Specialist: Biotechnology & Healthcare, up a whopping 1,313% - clearly not a bad place to be over the long-term, to date at least. The Asia Pacific sectors and Global Emerging Markets also feature strongly, as do smaller companies across a range of regions. "The top performing investment company sector over the last 18 years is Sector Specialist: Biotechnology & Healthcare, up 1,313%"
Annabel Brodie-Smith, Communications Director, Association of Investment Companies (AIC) said: “Everyone has different ideas about what constitutes ‘long-term’ – in fact our own investor confidence research this year found that 8% of active investors consider 3 to 5 years a ‘long-term’ investment horizon. Whereas we consider long-term investments to be at least five years and preferably longer. "There’s no telling which sector will be topping the tables in the future so investors need to focus on a diversified portfolio for the long-term"
Hot on the heels of the Sector Specialist: Biotechnology & Healthcare is the eight companies strong Country Specialist: Asia Pacific sector, in second place over 18 years and up 1,280%. This is followed by the Global Emerging Markets sector, which is up 805%, but as the discrete performance data shows, this sector has had a more volatile time over the last 5 years. Also in the top 5 over the period is the Asia Pacific Excluding Japan sector, up 794%. This data demonstrates that despite some greater volatility over the last five years compared to the sector average, long-term patient investors have been rewarded. Smaller companies have also produced some strong returns and feature heavily amongst the top performing investment company sectors, with European Smaller Companies in 5th place, up 625%, followed by North American Smaller Companies (556%) and UK Smaller Companies (520%). The Private Equity sector has also posted above average returns, up 507%, and the UK All Companies sector up 456%. Recent research from the Association of Investment Companies (AIC) has demonstrated continued strong appetite for VCTs. In the current low interest rate environment, not to mention the pension rule changes and reduction in the lifetime allowance, it is easy to see why demand is strong. "The VCT sector as a whole is up 82% by share price total return over the last decade to 31 December 2016"
But figures published today by the AIC demonstrate that, more significantly, the VCT sector has now ‘earned its stripes’ as it has built up an impressive track record. The VCT sector as a whole is up 82% by share price total return over the last decade to 31 December 2016, with the added benefit of tax free dividends and capital gains. At the same time, the sector has supported fledgling UK businesses and, in 2015 alone, last year’s AIC survey showed VCTs provided £225m of funds to 115 SMEs. VCT backed businesses averaged an increase of 60 employees per company since VCT investment. Where investment had been present for over five years the average increase in jobs was 103 per company. The top 20 performing VCTs on a share price total return basis over the last decade have paid out an average total tax free dividend of 87 pence per share. Looking at share price total return, the top 20 VCTs are up an average of 141% over the last 10 years. Seventeen out of twenty of the top performing VCTs were in the VCT Generalist sector, with one VCT AIM Quoted, one VCT Specialist: Technology and one VCT Specialist: Environmental completing the twenty. "The top performing VCT of the last decade, Northern Venture Trust, is up 226%"
The top performing VCT of the last decade, Northern Venture Trust, is up 226% over the last decade and Maven Income and Growth VCT is in second place, up 187% and the Income and Growth VCT (managed by Mobeus Equity Partners) was also up 187%. Next was British Smaller Companies VCT, up 185% over the decade. Northern Venture Trust, the best performer, has paid out total tax free dividends of 98.50 pence per share over the period. Maven Income and Growth VCT, in second place, has paid out total tax free dividends of 60.10 pence per share over the decade and the third best performing, Income and Growth VCT (managed by Mobeus Equity Partners) paid out total tax free dividends of 99.75 pence per share. Next was British Smaller Companies VCT which paid out total tax free dividends of 83.25 pence per share over the decade. See table at end of release for a list of the top 20 performing VCTs, with dividend information. Commenting on the data, Ben Yearsley, Co-Founder and Investment Director, Wealth Club, said: “Tax free dividends remain the most attractive feature of VCTs and the last decade has shown both excellent total dividends and more importantly consistency in those dividend payments. With the rule changes of 2015 now starting to be felt, in my view investors may have to get used to a slightly different picture going forwards. The emphasis on earlier stage, higher growth potential companies should lead to equal if not higher returns over long term. Bill Nixon, Managing Partner at Maven, said: “There continues to be a healthy investor appetite for established private equity focused VCTs, which are now firmly positioned as a mainstream investment product. With persistent low interest rates for savers, and continued pressure on the scope for pension contributions, VCTs offer an attractive, tax-efficient alternative for investment and retirement planning. The VCT sector has consolidated in recent years into a number of highly capable management groups who have established a reliable and long-term track record of growth in shareholder returns, including an attractive level of tax free dividends. Investors in VCTs are also helping directly to create quality jobs and economic value and are supporting the development of some of the brightest emerging companies in the UK at an important time for British industry as we prepare to leave the EU. David Hall, Managing Director, YFM Equity Partners, said: “The financial performance across a range of the trusts demonstrates that investing in the UK’s small businesses delivers strong growth in those businesses from which investors directly benefit by way of dividend, but also through the positive economic impact of employment growth and increased tax take from those businesses. Annabel Brodie-Smith Communications Director, Association of Investment Companies (AIC) said: “As the VCT sector has matured, so too have returns, with good long-term performance together with a strong tax-free income. It is telling that, during the financial crisis, 19 out of the top 20 performing VCTs were still able to pay a dividend. Recently the pension changes and the reduction in the lifetime allowance has boosted investor demand, with fund raising higher to the end of January 2017 than in the previous year.